The leaders of the future will be those who dare to claim their irrelevance in the contemporary world as a divine vocation that allows them to enter into a deep solidarity with the anguish underlying all the glitter of success, and to bring the light of Jesus there. Writer and Millennial herself Amy Peterson wrote that when it comes to church affiliation she wants a, "service that is not sensational, flashy, or particularly “relevant”. I can be entertained anywhere. At church, I do not want to be entertained. I do not want to be the target of anyone's marketing. I want to be asked to participate in the life of an ancient-future community." The thing about relevancy is that what I think is relevant is relevant - to me but probably not you. I am interested in things that you are not and you are interested in things that I am not. To build a worship service or even a leadership core with the value of "relevancy" chances are our worship service and our leadership will be gimicy , overly stylized, and plastic. Additionally, and perhaps more importantly, focusing on relevancy leads to the missing out on what could be. Not to pull out the cliche, but when Steve Jobs presented the iPhone for the first time there were many people who thought it was a bust - it did not have a keyboard, it did not have stylus, it did not have a protected screen, etc. Needless to say, many people thought it to be irrelevant. Steve Jobs did not give a rip. He was set to address problems and a world that few could see coming. 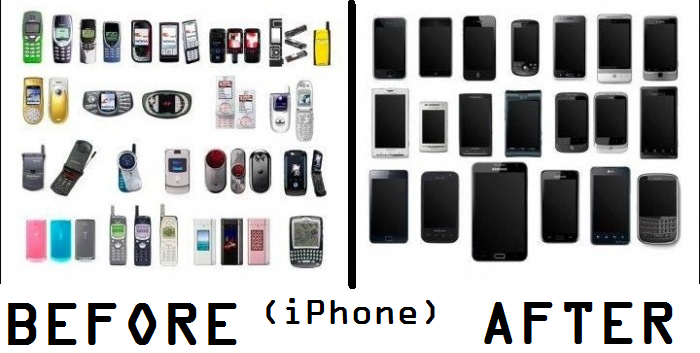 And for years the iPhone was the gold standard (and still is among many). Not to equate the two, but Jesus was not in hot pursuit of being relevant. He was a backwater itinerant preacher who made up stories that confounded the people and did not live into a common wish for a military leader or forceful king. When he made it to the heart of Jerusalem he quickly became the center of all hate and venom, and instead of changing his message to relevant he kept his eyes on the cross. Chasing relevancy is rooted not in our call to serve Christ but to serve a market we are afraid to loose. Chasing relevancy is a symptom of our fear not an expression of our faithfulness. Chasing relevancy is a lack of trust that the Holy Spirit will translate our works and perfect them to bring about reconciliation, wholeness and the Kingdom of God.